Philemon & Onesimus: What’s Their Relationship? 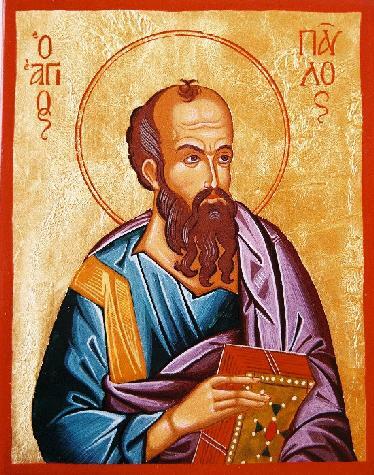 Paul writes his letter to Philemon asking him to receive Onesimus, to welcome him back. We don’t know exactly what has happened, but there has been some rupture between Philemon and Onesimus, leaving Philemon inclined to do the opposite. We may safely assert a few other things about the situation Paul addresses, but I’d like to just toss this out there: What evidence within the letter supports the scenario whereby Philemon and Onesimus are master and slave? Is there any counter-evidence? Further, is there any evidence to suggest that the two men are brothers? Again, what elements within the text rule out such a scenario? Well Tim, I know we have talked about this before, but I will chip in my two cents worth and maybe get the discussion rolling. I do think Onesimus was a slave that belonged to Philemon. Not only do Paul’s statements in 1:16 strongly suggests this, but Onesimus’ name, a common Phrygian slave name, also suggests it. Also this is how many of the early church fathers understood the letter, in particular John Chrysostom. The only person I am aware of who has questioned Onesimus’ status as a slave and suggested that he was D.L. Callahn, and no one I know of has supported his reading. So, while I think there is a lot we don’t know think we can assume that Onesimus was Philemon’s slave and not his brother. I thought of our conversations as I wrote this. I’m still thinking through it and am not sure that either scenario can actually be proved finally. I don’t think that the evidence for the strength of (very definitely) minority view has been fully appreciated, however. You once lectured on the book of Philemon (in Prison Epistles) and its beautiful representation of the story of Jesus. I’ll never forget it! And I’ll never look at that book the same way again! I’m interested to see where you’re going with this, Tim. Not having even thought about questioning the general understanding of the relationship, I’m in the dark here. Can you shed some light on where you see evidence for a different take on the book? As John Byron indicated, there is evidence in the text of Philemon that points to a master-slave relationship, and Onesimus’s name and the letter’s early reception further solidify such a view. I’m not sure it can be overturned, but I’m also not entirely certain that the other view has been adequately considered. V. 16 is the only place that Paul mentions that Onesimus is a slave, but he doesn’t mention that Philemon is his master. Further, he notes that Philemon and Onesimus are “brothers in the flesh.” To my mind, commentators don’t deal with this in a satisfying way. It’s typically read as indicating that Onesimus is present bodily with Philemon, or that they both share the same human nature. I think there are serious problems with these alternatives to taking that statement at face value. Now, I’m not sure it proves anything, but I just think that the alternative view hasn’t been given the consideration that it deserves. John mentioned Callahan’s presentation of this view. I think he argues for it in an article and a short book (can’t remember right now). His presentation is based on other grounds, though. I think it’s worth considering whether anyone in the 1st cent. would have considered a nobleman and a slave as sharing the same “human nature.” There are a few Stoics stating something like that, but I don’t think it would be a common assumption and it would actually be quite offensive to a nobleman. Slaves were considered less than human, at best! While I think that the “brothers in the flesh” is an interesting phrase, it does not necessarily have to mean “nuclear” family relationship, (i.e. – Rom. 9:3). That is certainly a possibility, but I don’t think it would be out of character at all for Paul to consider and call a nobleman and a slave equal, as sharing the same new human nature in Messiah. That seems to be the idea behind passages like Galatians 3:25-29. The other concern I would have with considering them to be brothers in the normal use of the term, is that Paul not only calls Onesimus a slave, but he says of Philemon in v. 14, I preferred to do nothing without your consent, implying that Philemon has some kind of control over the fate of Onesimus that I’m not sure a brother would have over his younger brother in Roman or Greek society. I do believe that Paul is indicating some kind of kinship, but I think there is reason to suppose that it is more in the line of a clan or larger family group, not a nuclear family. Unfortunately, I have not read the Callahan book, so I’m not aware of his argument in its full form. But since Paul links “flesh” and “in Christ” in that verse, I think that more strongly falls in line with what I am stating about a larger clan/tribe kinship (family of Abraham in faith) idea. Nevertheless, it is obvious which family relationship Paul feels has more weight, since he uses the term “brother” in talking to Philemon in a way that is meant to add force to his request. I would like to see some of your own ideas about this as well. I haven’t had a chance to get back into this letter in about six years, so I would not mind a good reason to jump back in. It’s an oft-neglected letter of Paul that’s fun to dig into and powerful theologically. So it’s a blast to dig back into now and again. And whatever interpreation you take, Paul is asking Philemon to do something radical in reconciling, something that makes manifest Christ’s (and NOT Caesar’s) Lordship over all things, including (especially) the arena of human relationships. (2) I aim to press the argument a bit that according to the grammar of this verse and the social codes of the first century, the most likely thing Paul is expressing is that Philemon and Onesimus are blood brothers–that Onesimus is now a precious brother to Paul, but even more so to Philemon, since not only are they actual brothers but they are brothers according to the new creation reign of Christ over all things. (3) This doesn’t change that Onesimus is currently a slave or has just been purchased out of slavery, that there is some sort of debt Onesimus owes to Philemon, and that it’s highly unusual that Onesimus, a person of noble birth, has a slave’s name. But I think these can be explained through other possible recreations. Again, I don’t think either scenario can be proved beyond a doubt, but I don’t think the minority scenario has been adquately considered, even though it’s the more likely scenario, considering grammar and the 1st cent. social codes.